Hey all, hope you’re doing well. I can’t wait for this weekend. For some reason, my sister is an Oklahoma Stank fan, and I really like rubbing it in. As for last weekend, I was hopeful since Riley and Ruffin knew Tech so well we’d see more tight coverage and aggressiveness. Like a lot of you, I’m a football nut. I enjoy watching bowl games to see how different teams play against each other across conferences. Every year it seems that tech draws a middle of the road SEC team that beats the snot out of em. 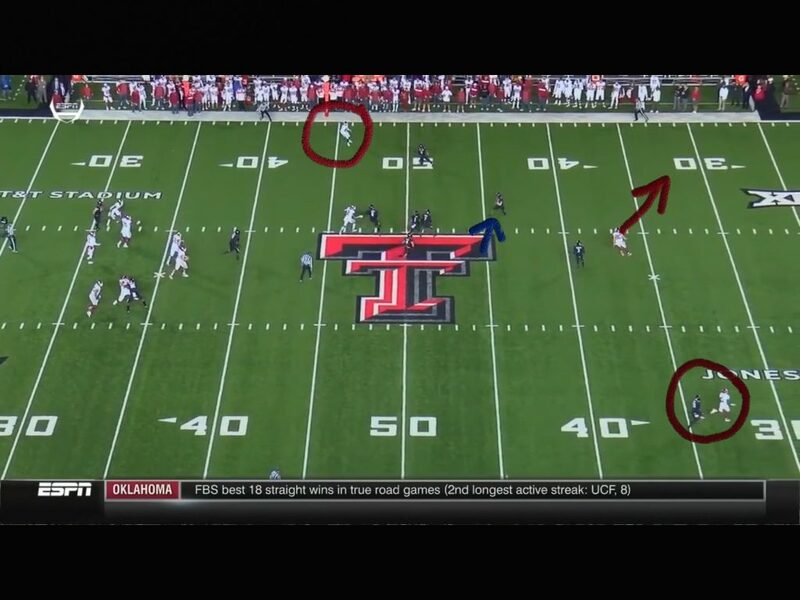 The common thread is that they play em tight and force whoever is playing QB to throw into tight windows. What I don’t understand is this kind of cushion. At the top, Tre Brown and Broiles are fast guys. Why wouldn’t you allow these guys to jam the receivers? If you take away the quick throw that eliminates half or over half of the Tech offense. On both of Kyler’s interceptions, he had plenty of time. 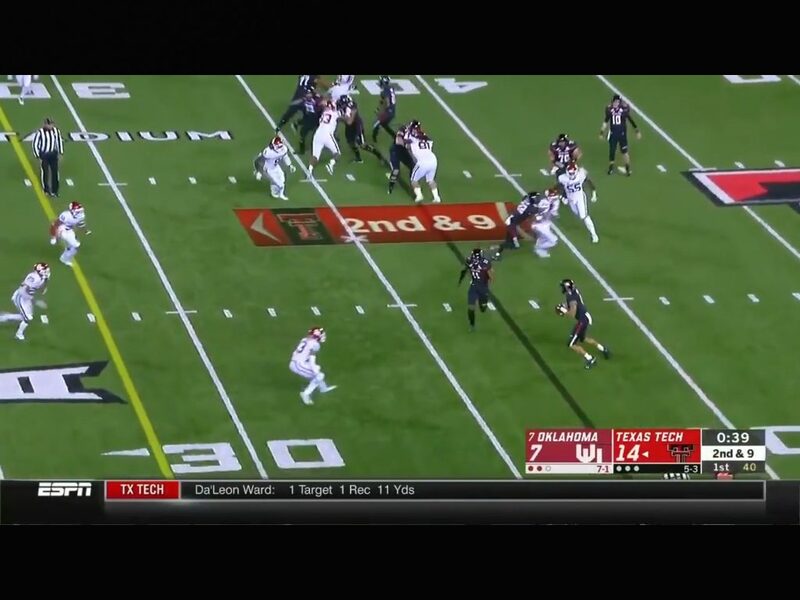 Samia is running his guy past, and Kyler just needs to step up in that pocket there. 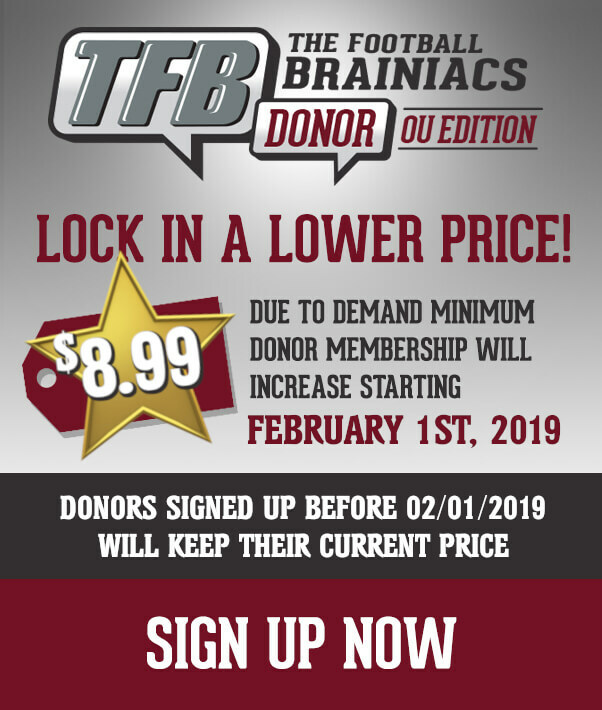 If he steps up in the pocket, he could scoot out the back door behind Cody Ford to the bottom of the screen and run for a first down. One thing I was very pleased with is that the Sooners played exceptionally hard. Right after the pick, they swarmed the tech runner for a good loss. Look at all the white jerseys in pursuit. 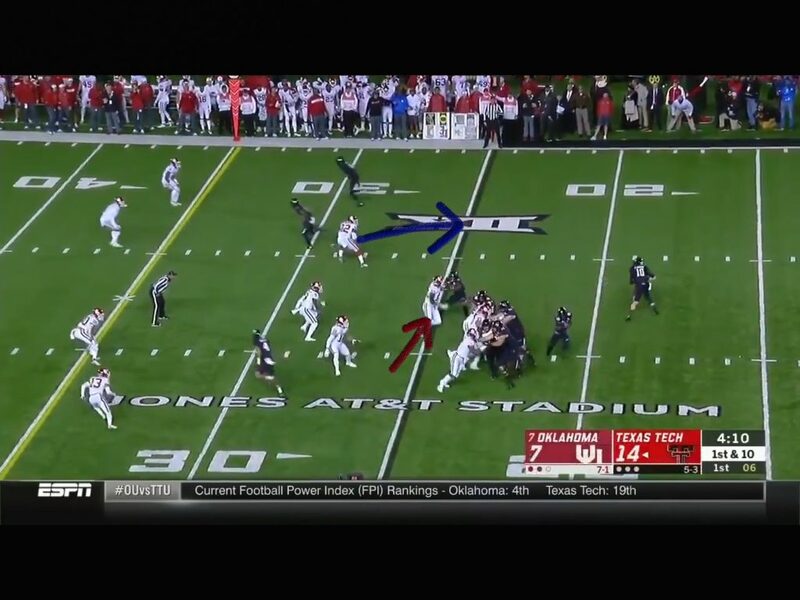 On the 2nd pick, I think this is just a miscommunication between Kyler and Calcaterra(red arrow). 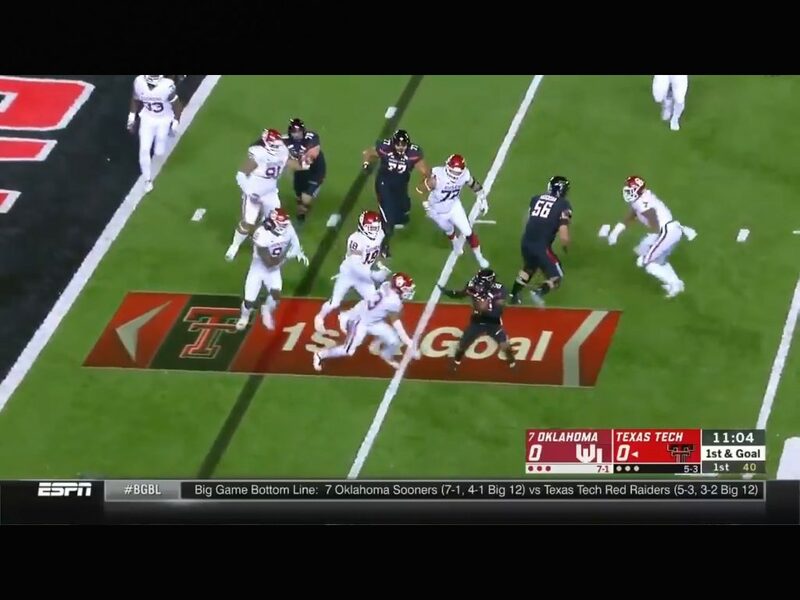 Kyler again has a great pocket with no pressure. 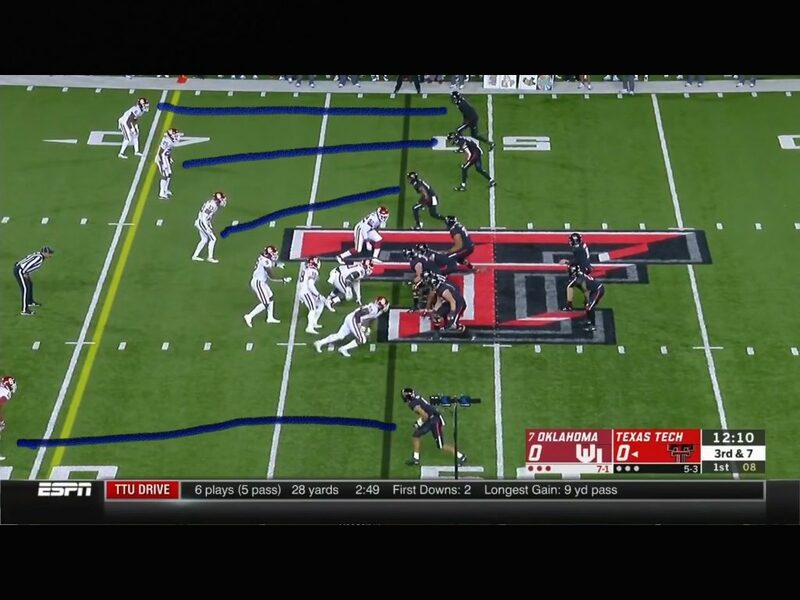 He has an open man at the 45 and a deep ball option to the bottom. Still, he has two escape routes to the top or the bottom. This is just a funky look that Charlie asked me to look at. Mark Jackson is the Sam backer and has outside responsibilities. I don’t like the alignment but I understand it. 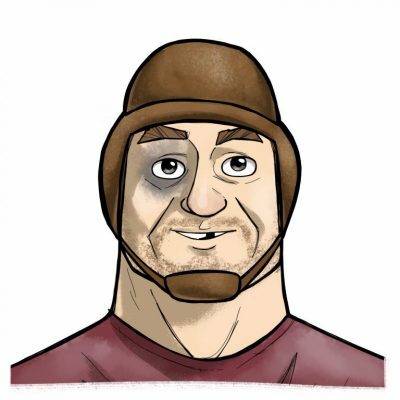 I would prefer to have Mann(the top defensive end) aligned on the outside eye of the tackle, and Bledsoe in a 3 instead of the other way. 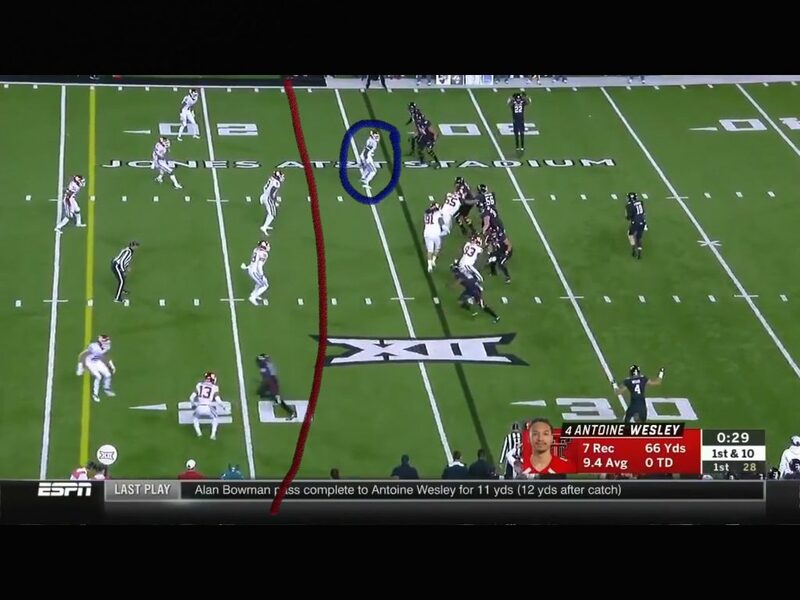 In my opinion, if you’re going to have your d end in a 4i, he’s at a disadvantage by alignment on the snap. What this is, is an A-5-9 look to the strong side(top) but, why not get Jackson up on the end of the line of scrimmage? Because a few seconds later, Mann who lined up on the inside eye of the tackle has b gap responsibilities. This makes the block for the tackle super easy since it’s a naked roll out to the right for the Tech QB. Jackson, I believe busted here. 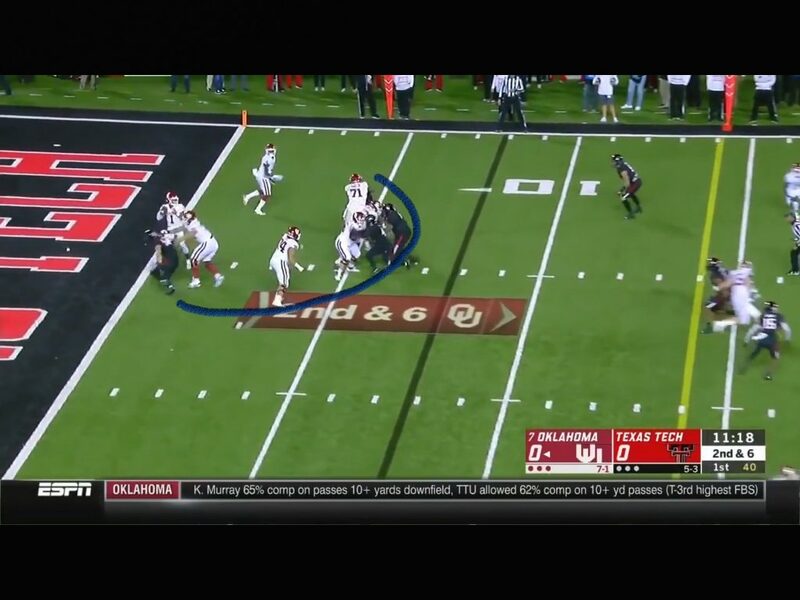 He’s not going to turn and run with that tech receiver, and there’s no one entering his zone except the QB. He needs to be flying up here, blowing up that QB. Jackson, since UCLA hasn’t quite figured out playing in space yet. To me, that’s all the more reason to line him up on the end and turn him loose. Force the issue here as there is no one to block him, and most likely it’s a forced quick throw, an incompletion, sack or turnover. Some coaches and leaders never figure out what their guys do well and just let them do that. If I’m Ruff, I’m not asking Jackson to play in space the rest of the year. This is another easy pitch and catch for Tech. You stone em on 1st down for a 1-yard game. Put em in 2nd and long, and you have a numbers advantage to the bottom with your DB’s. Put those guys up on them, and let them jump these friggin routes! If they get beat, they get beat, but death by a thousand cuts is frustrating. 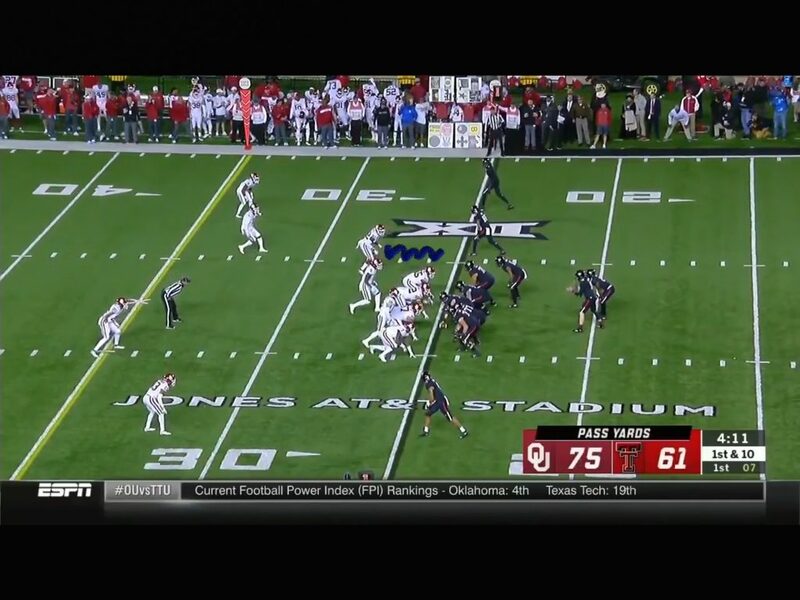 This was a stop and great play by Tre Brown. The alignment though still confuses me. You’ve got a guy wide arse open jumping up and down on the 30 to the bottom and no DBs in sight. You could darn near line up like a punt return and double jam these guys on the outside since you’re dropping 8 anyway. Ryan Jones is the blue circle and is playing the zone to the flat. While I get the logic of letting your athletes see what’s happening in front of them and go make a play, I personally prefer forcing the issue.